"Thug Life" on her knuckles. 12. "Thug Life" on her knuckles. 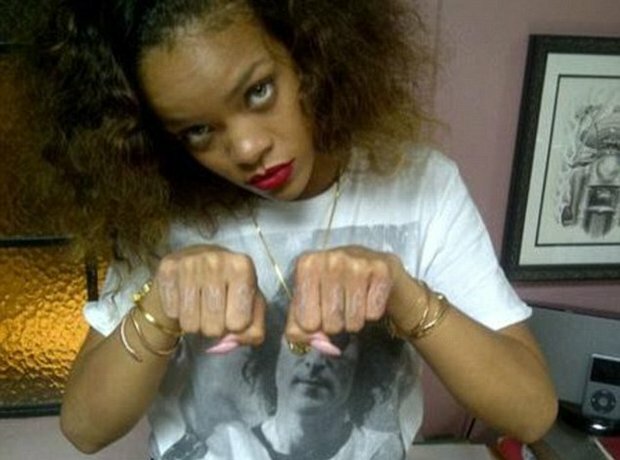 In January 2012, Rihanna was tatted with "Thug Life" across her knuckles by artist Mark Mahoney with semi-permanent white ink. The inking is a tribute to legendary rapper Tupac Shakur. As with many white ink tattoos, this design disappeared over time.